In this podcast, we visit an enticing but controversial topic – telling stories from cultures other than our own. Stories have cultural values buried deep within them. Sometimes those values are explicit, but more often than not, they can be simply assumed and never specifically taught. We are under a special obligation to take care when sharing some other culture’s story: do we have a sufficient understanding to tell it authentically? Will the audience understand those values? In this episode, we hear stories from three cultures: Japanese, West African, and Kalahari. Each is told by a different storyteller, including our emerging storyteller from Nigeria, a guest to be featured in a future episode from Poland, South Africa, and Los Angeles, and a traditional folk teller from North America with an unusual background (a PhD in Botany) and an incredible international reach: Fran Stallings. We also hear from Fran and her journey through storytelling and her pearls of wisdom for storytellers. 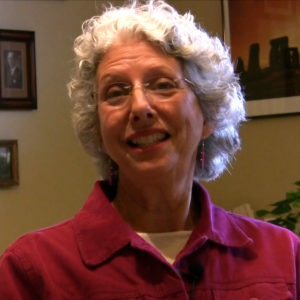 Fran Stallings’ recollections of her journey through storytelling. The Magic Drum, a traditional West African story told by Titi Ogunnaike. The Farmer and the Star Woman, a Kalahari story, told by a surprise guest, Leonia Kurgan. Cultural Appropriation, a reflection on the particular challenges of story sharing from different cultures. 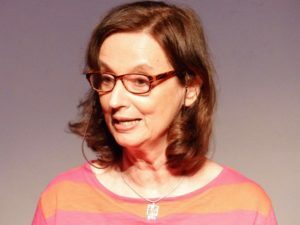 Fran Stallings is an American storyteller who has performed at national and international storytelling festivals, in schools and libraries, and on the radio. She performs primarily folktales from around the world. She has produced several audio recordings and books of stories. She conducts workshops, residencies, and festival performances throughout the United States and overseas. Please visit her website.